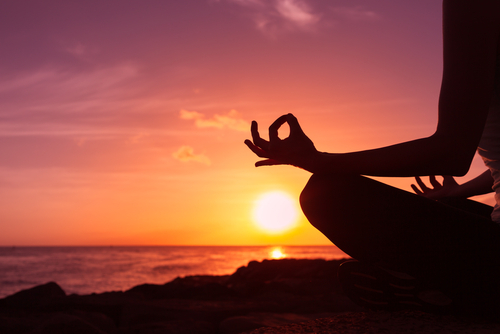 How can meditation affect physical healing? So where does mediation fit with all this? While meditation is not a form of medication, it is a form of therapy. If you have ever spoken to a professional sportsman or woman, then you may well have heard them use the phrase “get their head in the game”. This is because psychology plays a huge part in their success, and while they can have all the skill and experience in the world, if they don’t have the confidence and mental strength to play the game to the best of their ability, they won’t. Mental attitude doesn’t just affect skill and confidence though. Researchers have also found that “our perception of an injury can have a stronger influence on how much pain we experience than the actual tissue damage that has occurred¹”. What that means is that we actually have some level of control over the pain that we feel. Even better, we can use this to change our mindset (which naturally shifts to “victim” in the wake of a serious physical injury) and use it as motivation to work; at the correct pace decided by your spine surgeon and physical therapists, towards the best possible rehabilitation outcome. Pain is essentially a warning system that tells our brain that some form of damage is happening to our physical self, and that we should probably stop doing what we are doing. A great example of this is grabbing a pan handle that is hot. The nerves in our hand can sense the heat and relay information to our brain to tell us to put the pan down as it is too hot. However, responses to pain vary between individuals, and what one person considers “too hot” another person will be able to handle comfortably. - It can help you to understand how much of your pain is physical, and how much of it is emotional and controlled by your fear about your circumstances and potential outcome of your rehabilitation. - It can help you to control your central nervous system, keeping you calm and preventing you from panicking or shutting down when dealing with pain or emotional stress. Meditating every day will help to keep your mind and body relaxed, which will help you to manage your pain and the emotional stress of your spinal cord injury and support you in achieving the best possible outcome from your rehabilitation program. Concentrate on your breathing, inhaling in through your nose and out through your mouth. By switching your focus to your breathing, your brain will tell the nervous system to relax, which will slow your heart rate. The production of pain hormones will cease, and your body will instead produce relaxing hormones. Identify the location of the strongest pain, but visualize rather than feel it. It is important to try and assess it from a matter-of-fact point of view so that your emotions do not become compromised. Establish a neutral label for the pain that does not refer to intense negative discomfort or emotional distress. For example, you could describe the pain as “tickling”, “tingling” or “twitching”. Neutral or positive associations mean that you no longer need to try and ignore the pain, but instead you can deal with it on a more controlled and rational level. It can take some time to learn to meditate successfully and without distraction. Experts recommend starting with a minimum time of five minutes each day and gradually increasing up to around twenty minutes. What can meditation help me to achieve? As you progress through your recovery and rehabilitation from your spinal cord injury, it will become easier to remember that pain was not always a part of your life, and the way that you view it can either make or break your successful recovery. Meditation will help you to remain in control of your physical and emotional wellbeing and propel you towards the best possible outcome from your spinal cord injury.